The beauty of nature is what make this place even more beautiful. 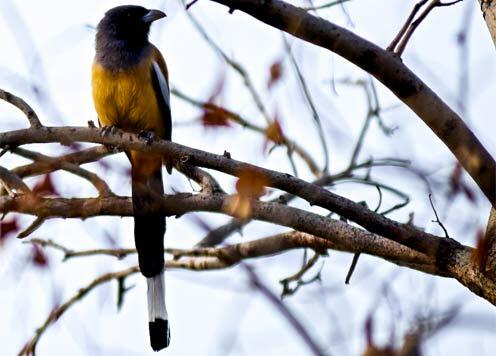 Visit Keoladeo National Park to get a sneak peek into the natural habitat of 350 species of birds. It is a retreat for those who want to know more about the history of Jats. Visit Laxmi Vilas Palace and get acquainted to the beauty of Bharatpur. The Keoladeo National Park or Keoladeo Ghana National Park formerly known as the Bharatpur Bird Sanctuary in Bharatpur, Rajasthan, India is a famous bird sanctuary that plays host to thousands of native and migratory birds especially during the winter season. 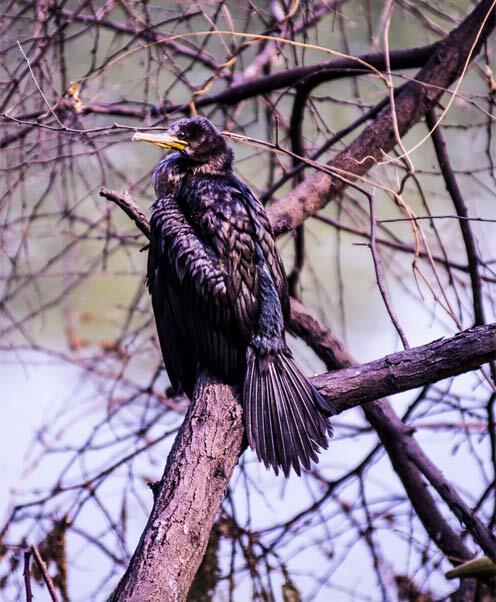 Over 350 species of birds are known to have made the Keoladeo National Park their home. It was declared a protected sanctuary in 1971. It is also a declared World Heritage Site. Keoladeo Ghana National Park is a man-made and man-managed wetland and one of the national parks of India. The reserve protects Bharatpur from frequent floods, provides grazing grounds for village cattle and earlier was primarily used as a waterfowl hunting ground. The 29 km reserve is locally known as Ghana and is a mosaic of dry grasslands, woodlands, woodland swamps, and wetlands. These diverse habitats are home to 366 bird species, 379 floral species, 50 species of fish, 13 species of snakes, 5 species of lizards, 7 amphibian species,7 turtle species, and a variety of other invertebrates. Every year thousands of migratory waterfowl visit the park for wintering breeding etc. The Sanctuary is one of the richest bird areas in the world. It is known for nesting of its resident birds and visiting migratory birds including water birds. 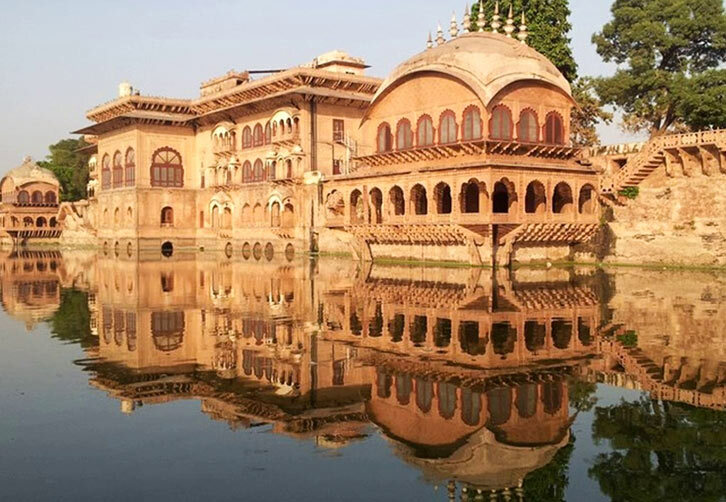 Deeg Palace - 32 kms North of Bharatpur is this beautiful garden town, the gardens have been laid with great care and precision, the sparkling fountains and meticulous palaces add to the beauty of this idyllic retreat. It was the first capital of the Bharatpur state. Now it is renowned for its coloured fountains which are operational twice a year only. People come in from all over to see them. 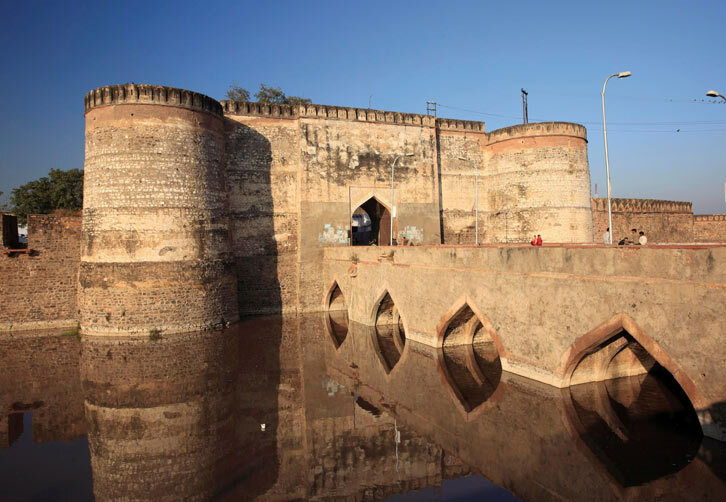 Deeg Fort - built by Raja Suraj Mal, Deeg fort is surrounded by impressive moats, ramparts & gateways, the interiors are mostly in ruins now, but the watch tower still stands in the ruins keeping an eye over the City and Palace. Situated right in the heart of the city, it is known to be one of the most prominent temples in Bharatpur. Almost 400 years old, this temple stands right in the middle of the main market area. It is said to have been established by Naaga Baba, a sage who worked for upliftment of the mankind. Displaying typical Rajasthan style of architecture, this beautiful temple is visited by a large number of devotees every year. Lohagarh Fort (Iron fort) is situated at Bharatpur in Rajasthan. It was constructed by Bharatpur Jat rulers. Maharaja Suraj Mal used all his power and wealth to a good cause, and built numerous forts and palaces across his kingdom, one of them being the Lohagarh Fort (Iron fort), which was one of the strongest ever built in Indian history. The inaccessible Lohagarh fort could withstand repeated attacks of British forces led by Lord Lake in 1805 when they laid siege for over six weeks. Of the two gates in the fort, one in the north is known as Ashtdhaatu (eight metalled) gate while the one facing the south is called Chowburja (four-pillared) gate. Not only Bird Sanctuary, Bharatpur is also a gem for the people who appreciate the architectural beauty. 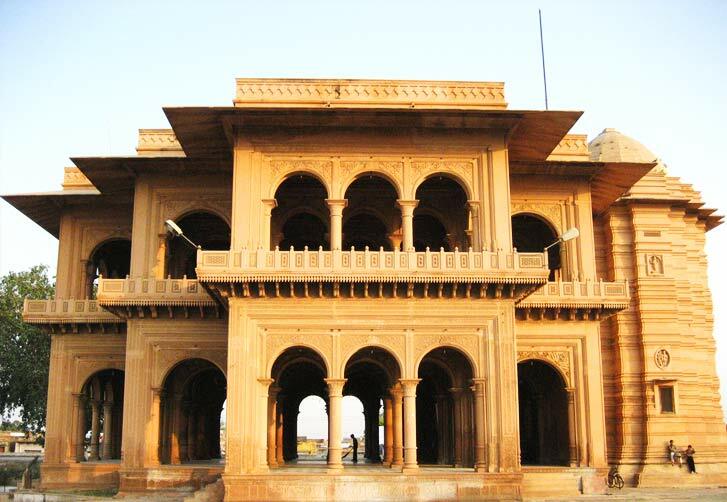 The Bharatpur museum is situated in the heart of Bharatpur and is accomplished by a number of armors used by the kings. 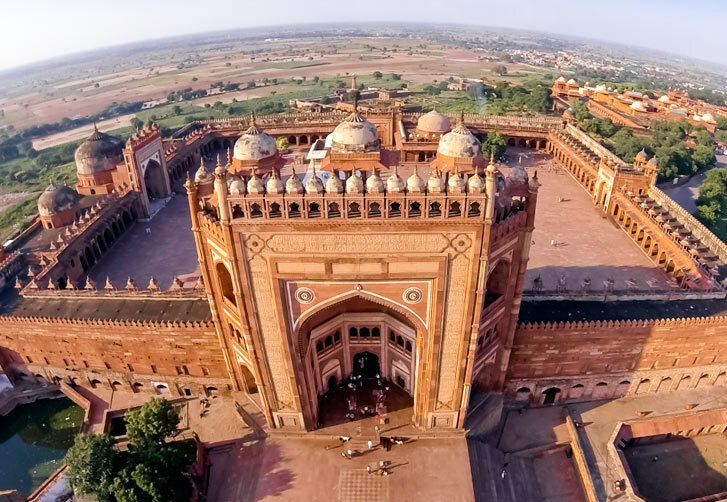 The thing that make this place worth visiting is the beautiful structure of 46 pillars at the top of the museum from where on can see the whole Bharatpur. 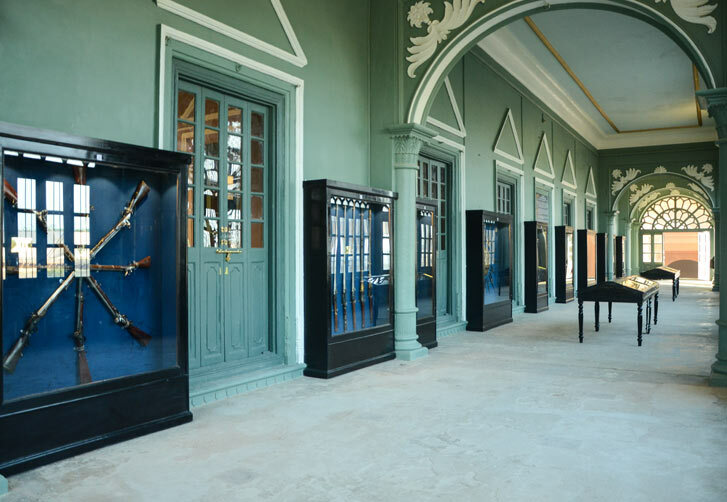 The museum is situated just at the distance of 4 km from Laxmi Vilas Palace. The museum is located in the heart of Lohargarh fort, it was tranformed into a museum in 1944 AD. It also shows a variety of local artifacts, including stone sculptures, coins, weapons, and paintings.